The spirit of the season is in full swing everywhere you go in Virginia, from main streets in small towns to hotel lobbies welcoming visitors to experience the festivities in the Commonwealth. Many of Virginia’s restaurants are going all out for the holidays, combining incredible decorations with seasonally-inspired cuisine, cocktails, and events. 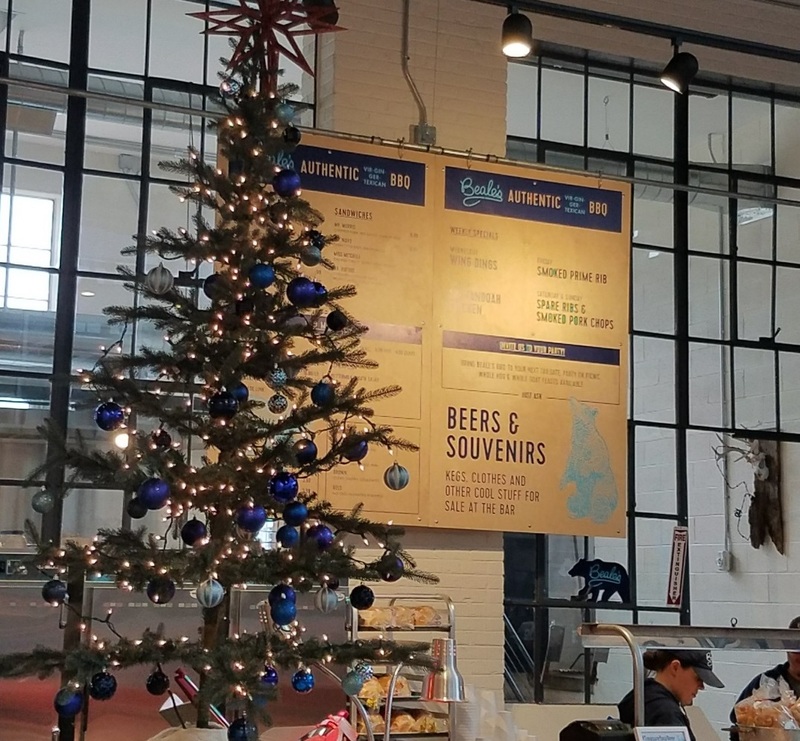 The following restaurants are just a few foodie destinations in Virginia that add holiday cheer to every aspect of the meal. 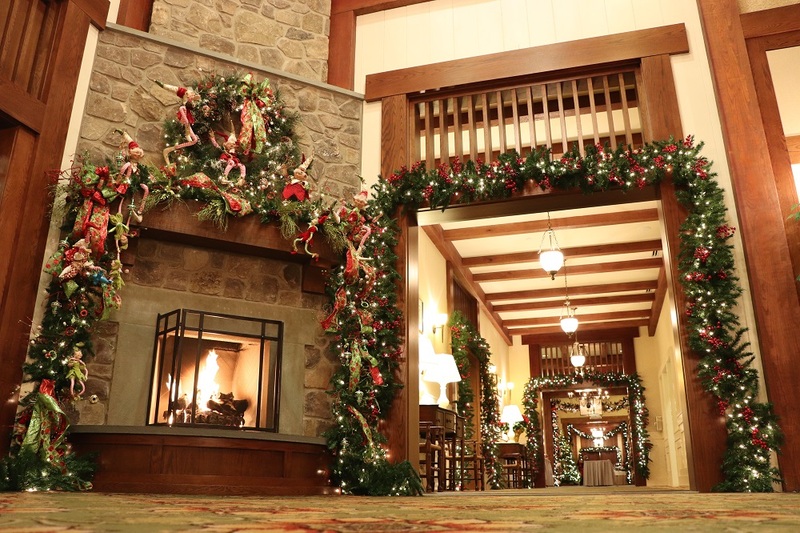 Boar’s Head Resort in Charlottesville offers several holiday themed events during the month, including gingerbread workshops, horse-drawn carriage rides, and a Breakfast with Santa series, but their holiday spirit is always on display in the resort’s Old Mill Room Restaurant. Holiday garland, bright bows, and twinkling lights drape elegantly from the ceilings and along the walls. For seasonal flavors, the restaurant menu includes dishes like a Warm Goat Cheese and Caramelized Onion Tart made with thyme-infused local honey and 25-year old balsamic or the Grilled Filet of Beef with spoon truffle potato, winter vegetables, and a roasted shallot au jus. A farm-to-table restaurant in Troutville, Pomegranate Restaurant has four separate dining areas that make it ideal for large family gatherings. Each area is uniquely decorated with Christmas trees, strands of lights and garland, and various other decorations, creating a distinct holiday ambiance in every room. Since they source many ingredients from local farms, you’ll find fresh winter flavors throughout the menu. Finish the meal with one of their seasonal desserts, like the Cranberry Fig Compote Cheesecake. The Tavern Cafe, located inside Rice’s Hotel in Heathsville’s Historic District, dates to the late 1700’s. 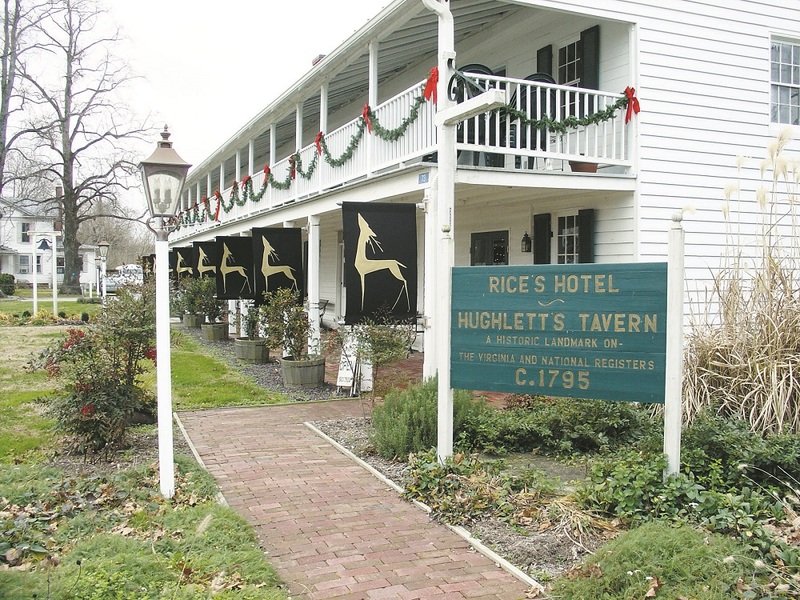 While the historic elements of the building are seen year-round, the hotel and tavern recognize their over 200 years of history during the holidays with fresh pine roping, boxwood arrangements, and other natural greenery— all decorations that would have been seen in the tavern’s early days. These authentic touches make visitors feel as if they have stepped back in time to dine in 18th-century Virginia, but the ever-changing menu brings you into the modern era, featuring seasonal items like the Curried Pumpkin Soup and the Almond Joy Cheesecake. After eating lunch, stop by the Heritage Arts Center Gift Shoppe to find gifts made by local artisans for everyone on your Christmas shopping list. Oysters are one of Virginia’s world-famous contributions to the culinary scene, and Rappahannock River Company’s Rapp Session restaurant is one of the best places within the Commonwealth to sample the delicacy. Located next to its upscale sister restaurant, Rappahannock Restaurant, this casual eatery has transformed for the holidays into a winter wonderland. The pop-up, titled Christmas Session, has a Santa Photo Booth, snowflake decorations, thousands of glittering lights, candy canes, giant toy soldiers, and a fireplace (okay, a fireplace playing on a television screen, but it still adds to the holiday magic). For the rest of December, the restaurant will be serving up themed cocktails to pair with their small plate offerings, including egg nog and hot cider, and dessert specials like spiced cake with butterscotch. 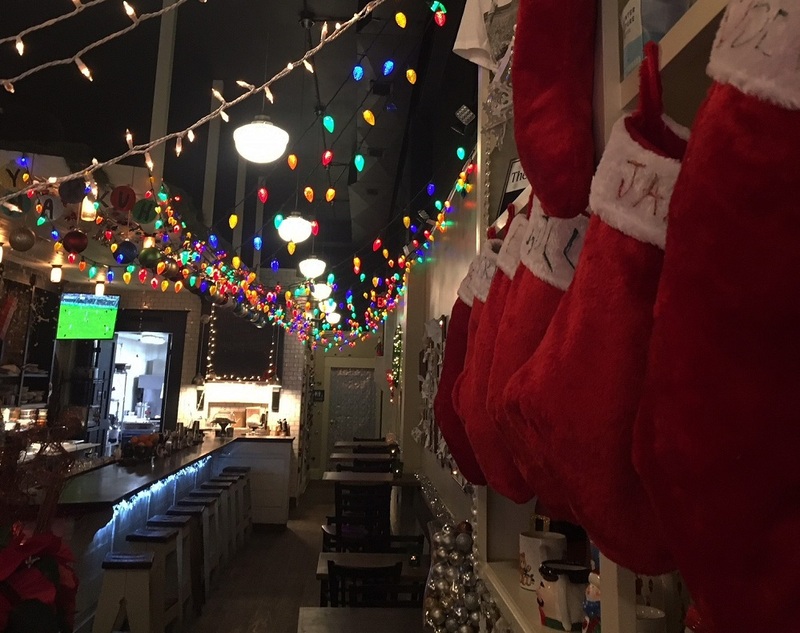 Additionally, the restaurant is spreading a little of that holiday cheer to the less fortunate, as they collect canned goods for FeedMore and host a holiday raffle with Rappahannock oysters, gift cards, and goods to benefits the Central Virginia nonprofit. Smithfield Station Restaurant adds holiday cheer both inside and outside their restaurant, in addition to decorating their Lighthouse with thousands of lights. Their winter menu features mostly seafood dishes with classic seasonal ingredients, making Smithfield Station a go-to choice for local groups and families throwing holiday parties and get-togethers. The restaurant hosts special holiday events during the month of December, including an annual lighted boat parade, two Breakfast with Santa mornings, and even a Gift Wrapping dinner, where patrons can bring their presents to be wrapped while dining. While beer and barbecue may not seem like the most traditional options during the holidays, Beale’s Brewery & BBQ knows how to make it work. They have crafted a holiday tree made from their kegs and released a limited edition holiday beer, called Winter Warmer. On the food side, holiday hams and turkeys are available to order through December 18th, which can be picked up Christmas Eve to save you the trouble of making your own holiday feast. 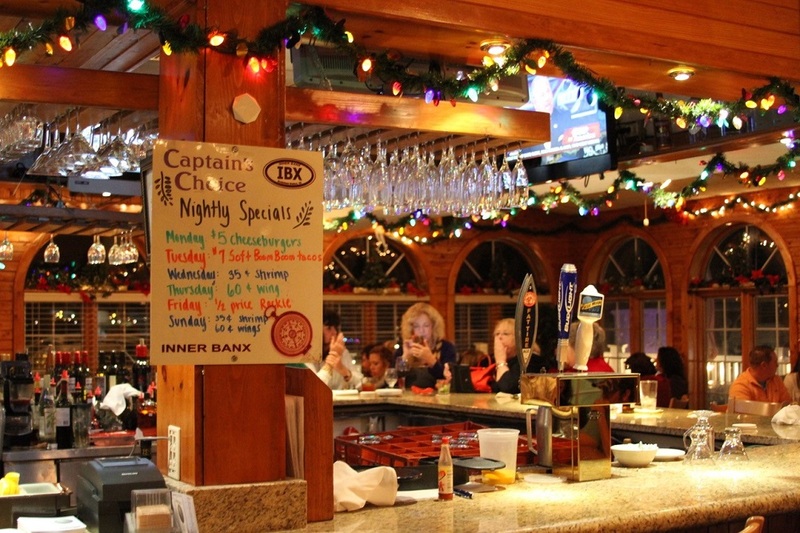 Visit Beale’s on December 22nd for their “Ugly Christmas Sweater Party”, featuring live holiday music and a seasonally-inspired dinner. 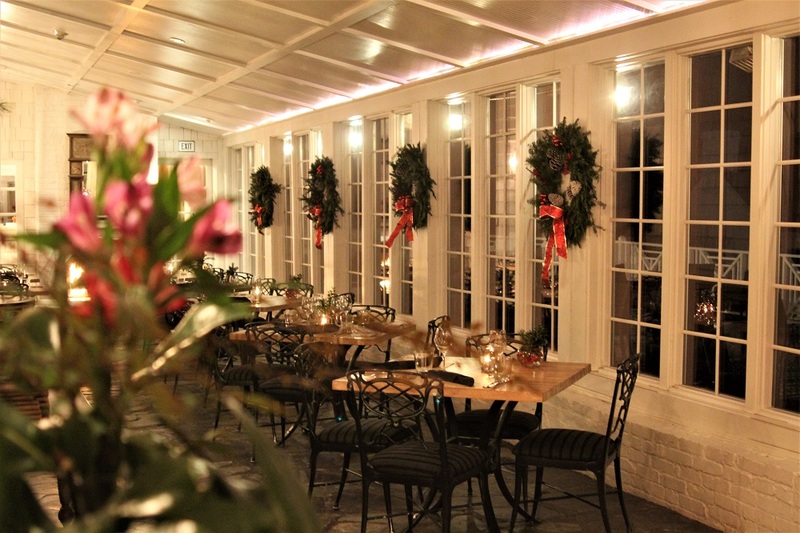 The Clifton Inn decorates their lodgings with festive trimmings and traditional greenery, but the holiday magic is most evident in their restaurant, where the menu uses organic produce from their on-site vegetable and herb gardens to showcase the season’s best. Winter dishes include a Risotto with butternut squash, chestnuts, ricotta, and sage, followed by delicious dessert options like the Sticky Toffee Pudding with spiced candied pecan, date puree, and an earl grey ice cream. 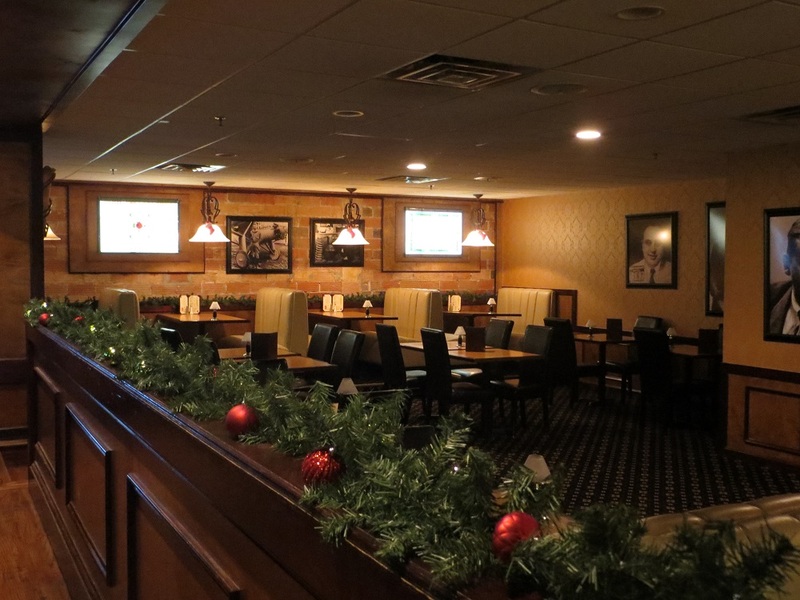 They also offer a special prix fixe Christmas dinner menu for $75 per person. 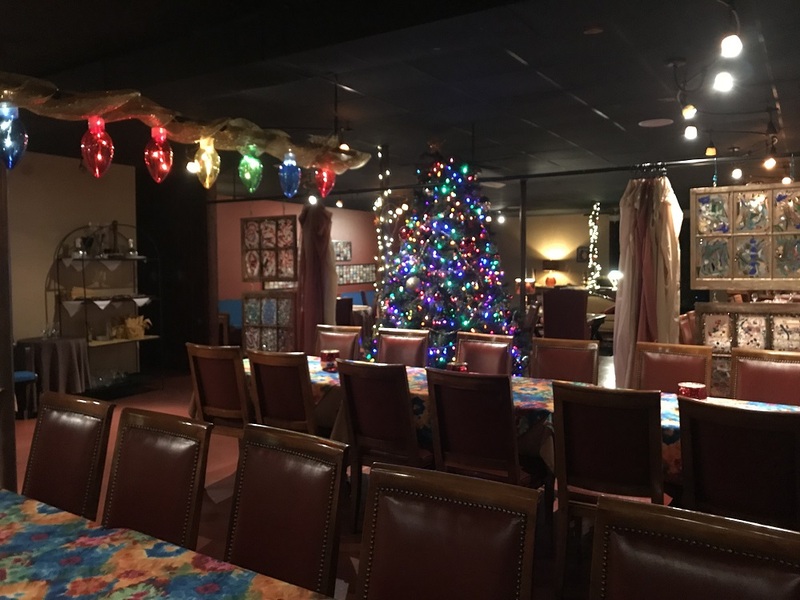 Like many of the restaurants within Virginia’s hotels, resorts, and inns, the Speakeasy at Mimslyn Inn has got the holidays on full display. This Prohibition-themed restaurant puts festive finishes on their year-round Art Deco-décor, but to get even more holiday cheer, dine on December 16th for their Christmas & Cabaret Show, which includes live holiday music, Swing-era dancing, and a holiday buffet complete with turkey and all the trimmings. After eating, walk around the Mimslyn to see the rest of the inn’s impressive holiday decorations. These are just a few of the countless decorated restaurants around Virginia. Find an extended list below that includes the mentions from last year’s roundup. Tell us, where do you go to see, taste, and experience the flavors of the holiday season?